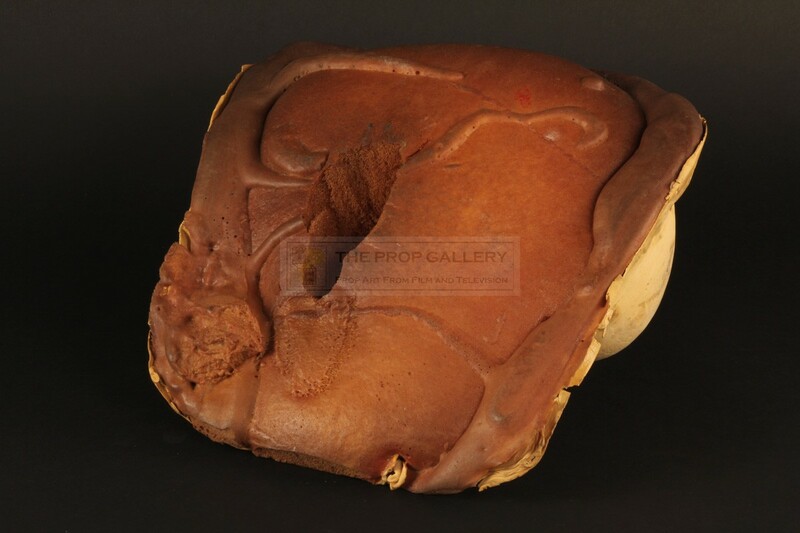 An original prop used in the production of Re-Animator, the 1985 horror picture starring Jeffrey Combs under the direction of Stuart Gordon. This chest was created for and used in the noted deleted dream scene in which Herbert West (Jeffrey Combs) re-animates Megan Halsey (Barbara Crampton) by injecting her with his serum. 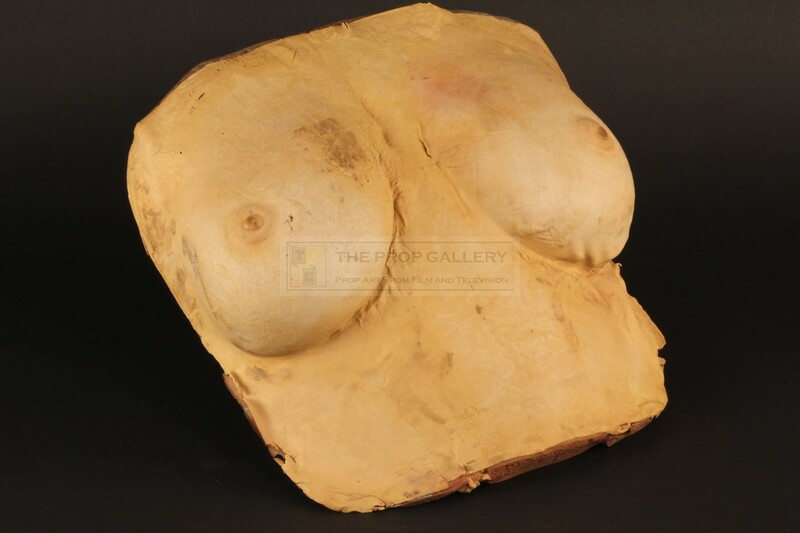 To create the prop a body cast was taken from actress Barbara Crampton from which a mould was made and this chest moulded in foam rubber, it is hand painted in skin tone and features the remnants of pink coloured make up, to the back of the chest a section of the foam has been removed to the part which is injected. 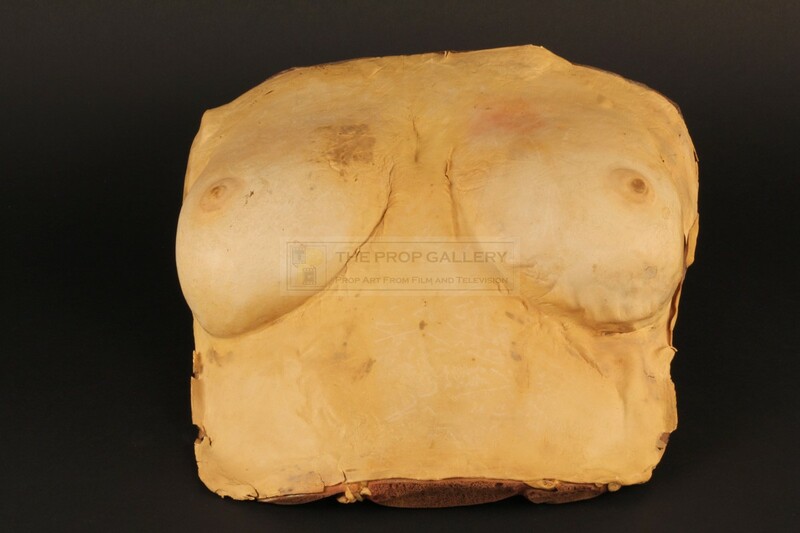 The chest measures approximately 12" x 12" and remains in good vintage condition with some shrinkage to the rubber finish and minor hardening in areas, generally fine. 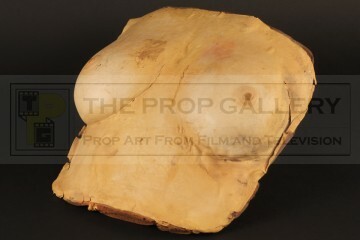 This represents an incredibly rare and displayable artefact from this production of this cult horror picture.